Barclaycard is the financial institution that issues BHS MasterCard. Barclaycard is a brand of Barclays Bank Plc, which is regulated and licensed by Financial Services Authority. Barclaycard issues the BHS MasterCard in partnership with BHS. This is a rewards credit card, which rewards you with points whenever you use it to make purchases. The BHS MasterCard is also associated with a number of discount vouchers, which can be used to purchase desired products and services at topnotch stores such as Dorothy Perkins, BHS, Evans and Burton, Wallis and others. You will get money back vouchers worth 5 percent of whatever you spend at stores such as Dorothy Perkins, BHS, Evans and Burton, Wallis and others. You will also get money back vouchers worth 1 percent whenever you spend at more than 24 locations all over the world. BHS MasterCard comes with double points for card holders when they make their first purchase on their credit card. For instance, if you spend £50 in a BHS store, you will get money back vouchers worth £5. Besides, you will be given the opportunity to shop at BHS and its partner stores on exclusive reward days for card holders. The best features of the BHS MasterCard, therefore, are its money back vouchers. One BHS reward point is equal to 1 percent money back; so if you collect 500 BHS reward points, you will get a money back voucher worth £5. Your money back vouchers are sent along with your credit card account statement every quarter of the year. The Barclaycard BHS MasterCard comes with three 0 percent offers—0 percent on all balance transfers made during the first 9 months with handling fees of 2.99 percent, 0 percent on all purchases made at BHS for the first 6 months and 0 percent on all purchases made at other places for the first 3 months. However, BHS might withdraw this introductory offer anytime. 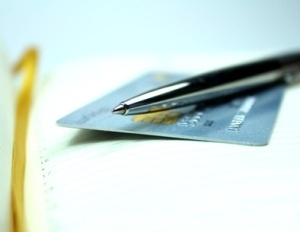 The credit card has a variable APR of 19.9 percent, no annual fees, a minimum credit limit of £250 and a maximum credit limit depending on the status of the applicant. You can avoid paying extra interest and charges if you stick to your credit limit and pay your dues on time. As a BHS card holder, you will also receive exclusive invitations to special card holder events. If you are looking for a MasterCard credit card that rewards you with money back vouchers whenever you go shopping, the Barclaycard BHS Credit Card is the best credit card for you. To apply for this credit card, you need to be an employed UK resident above 18 years of age. Your credit card application will be approved faster if you have an excellent credit score and an absolutely flawless credit card history. This means that you should be quite regular in paying your mortgage, loan and credit card dues. You cannot apply if you have recently applied for a BHS MasterCard and your application has been declined.